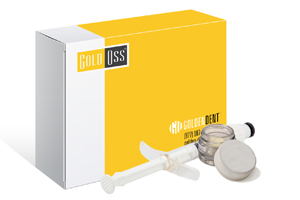 GoldenDent is actively involved in continuing education (CE) and is extremely proud of our ongoing commitment to training other dentists who wish to excel in the use of unconventional dental techniques to obtain excellent clinical results in their practices. 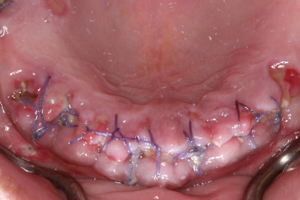 Based on requests of several of our customers and past CE attendees, we often post new and unique clinical cases focusing on various topics including extractions, grafting, implants and much more. 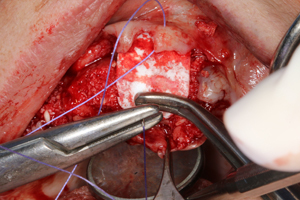 Each clinical case will be quickly explained with step-by-step photography to explain and demonstrate the techniques. Please see below the Clinical Case for February 2019 as mentioned in our February Newsletter. 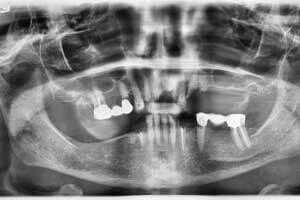 Figure 1: Pre-operative panoramic radiograph illustrating non restorable maxillary and mandibular teeth that will be atraumatically extracted and the sockets grafted in preparation for future dental implant placement. 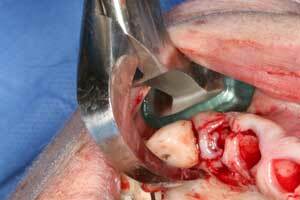 Figures 2, 3 & 4: Pre-operative images of teeth to be extracted. 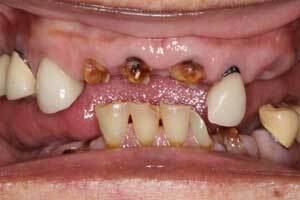 In this case, all remaining upper and lower teeth are to be extracted in preparation for future dental implants. 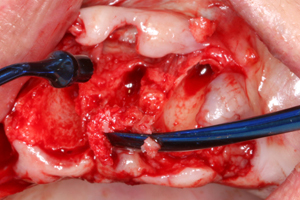 Figure 5: In this case, the Physics Forceps were utilized to atraumatically extract the teeth. 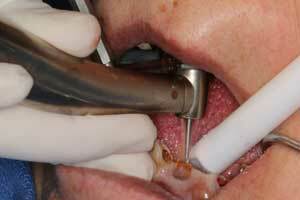 In some cases, in order to get a better purchase point on the broken down tooth with the beak of the Physics Forceps, a bur can be utilized to make a purchase point. 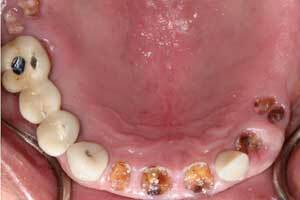 The purchase point is done at the expense of the tooth, not to remove the surrounding bone. Figure 6: The Physics Forceps operate as an elevator, rather than forceps, using first-class lever mechanics. One handle is connected to a "bumper," which acts as the fulcrum, that is placed deep in the vestibule. The other handle is connected to the "beak," which is positioned most often on the lingual or palatal root of the tooth into the gingival sulcus. Figure 7: No aspect of the instrument grasps the crown and there is no advanced elevation needed. Once the instrument is properly placed, the handles are rotated a few degrees with only wrist movement in a slow, steady and controlled manner - no squeezing! Figure 8: The Physics Forceps place a constant and steady load on the tooth, allowing "creep" to build, releasing hyaluronic acid, resulting in the break down of the periodontal ligaments. Studies have proven this breakdown occurs in a much faster time period than conventional methods that employ intermittent, rocking or brute strength types of forces. 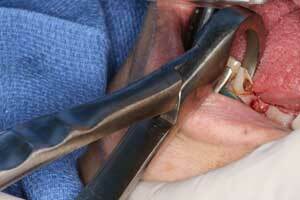 Figure 9: The Physics Forceps are designed to only move the tooth 1-3mm, not to deliver the tooth from the socket. 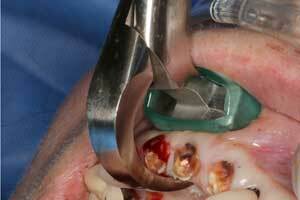 In this case, the loose tooth is removed from the socket with the Tooth Delivery Instrument (GMX EZD) from GoldenDent. 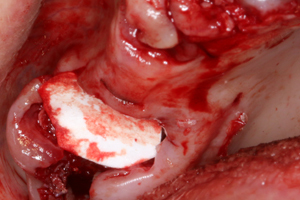 Figure 10: Used properly, the Physics Forceps will preserve the surrounding bone and tissue allowing for the ideal clinical results for dental implants. 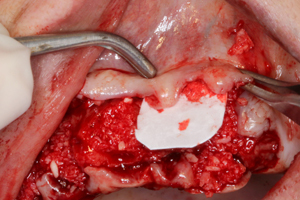 Figure 11: GoldOss™ Allograft Mineralized Cortical/Cancellous Bone Powder 5.0cc was used in this case. 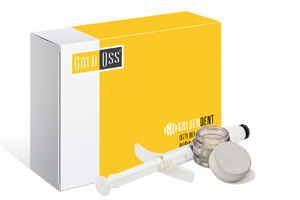 Figure 12: GoldOss uses proprietary processing technology designed to preserve native bone morphogenic proteins (BMP's) that provide the necessary signals to mesenchymal stem cells (MSC's) during osteogenesis. 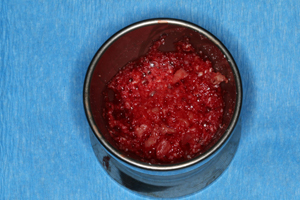 The process includes a validated low-dose, low temperature sterilization step in combination with multiple proprietary rinsing agents designed to lysis and remove cellular components associated with disease transmission. 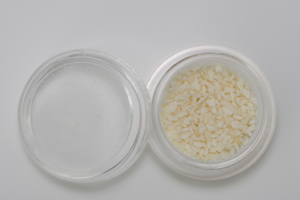 Figure 13: The GoldOss™ Allograft Mineralized Cortical/Cancellous Bone Powder was mixed with the patients blood for easier transport to the socket sites. 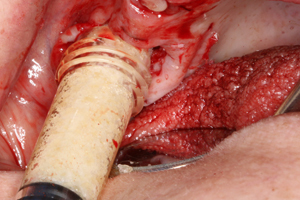 Figure 14: The allograft was carried to the socket sites using the bone spoon / plugger combo instrument (GO SPC) from GoldenDent. 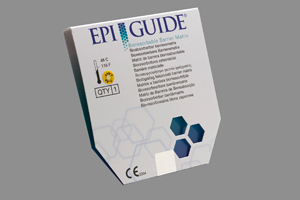 Figure 15: A long lasting resorbable EpiGuide® membrane was used and cut to size. Figure 16: EpiGuide is a uniquely structured bioresorbable polyactide (PLA) synthetic membrane. 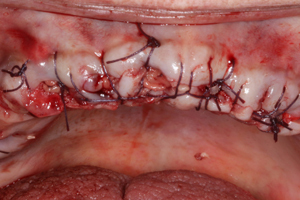 Figure 17: A reverse cutting suture is recommended going from the crest through the facial tissue, then from the crest to the palatal, which eliminates the risk of grabbing onto the EPI Guide membrane used in this case. 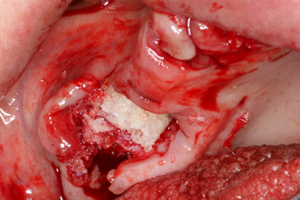 Figures 18 & 19: GoldOss™ Allograft Mineralized Cortical/Cancellous DBM Putty 1.0cc was used in this case. 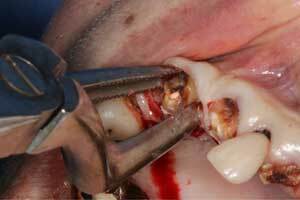 Figures 20 & 21: The membrane is tucked at least 2mm onto solid bone and is held passively prior to suture. This ensures the membrane will not be dislodged and provide un-predidtable results. 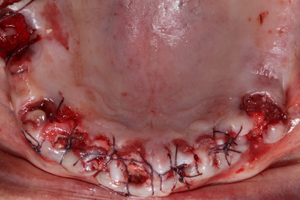 Figures 22 & 23: One week Post operative images of the upper and lower arch following suture removal The edentulous arches will heal for approximately 5 months prior to dental implant placement. Figures 24, 25 & 26: 6 days post op/suture removal. Figures 27 & 28: 13 days post operative images.